What a beautiful journey it has been for Dawn Tallman, Josh Milan and Honeycomb Music. 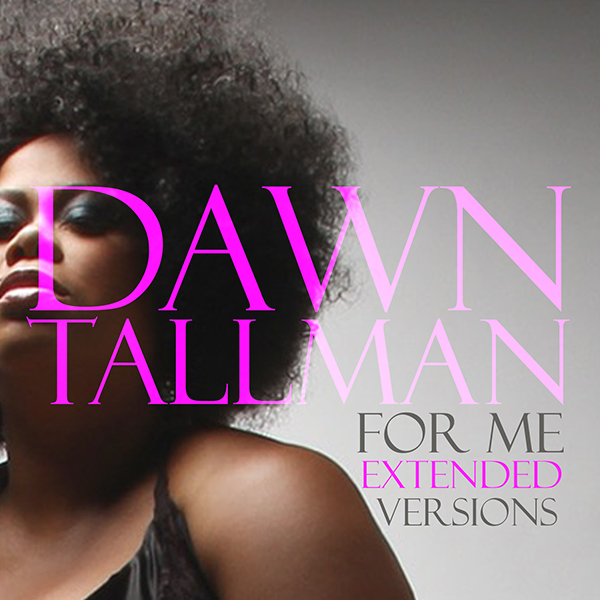 "For Me" has taken dance floors by storm since its original release and now, Honeycomb Music is proud to present the long-awaited extended versions of Dawn Tallman's sensational smash single! Dawn has never sounded more beautiful and more endearing. From her forthcoming EP, Dawn Tallman's "For Me" is not only a deeply personal song, but is also a sweet preview of what's to come from this incomparable artist and fellow collaborator Josh Milan. For this special release, our dear friend and comrade in music, Grammy award winning producer Louie Vega, steps in on editing duties, offering the fantastic Honeycomb DJ Tools - thank you Louie and thank you honeycombnation! Lyrics and music written and produced by Josh Milan. DJ Tools edited by Louie Vega. Published by Tallmax Music (SESAC) and Josh Milan Songs (BMI). Recorded by Josh Milan at Honeycomb Music Studios in East Stroudsburg, PA. Photography by Tinnetta Bell Photography. Cover art designed by Adam Cruz. ©2016 Honeycomb Music, LLC. All Rights Reserved.